Welcome to 941 Goodwin Rd in the heart of Mississaugas tendies community of Lakeview. 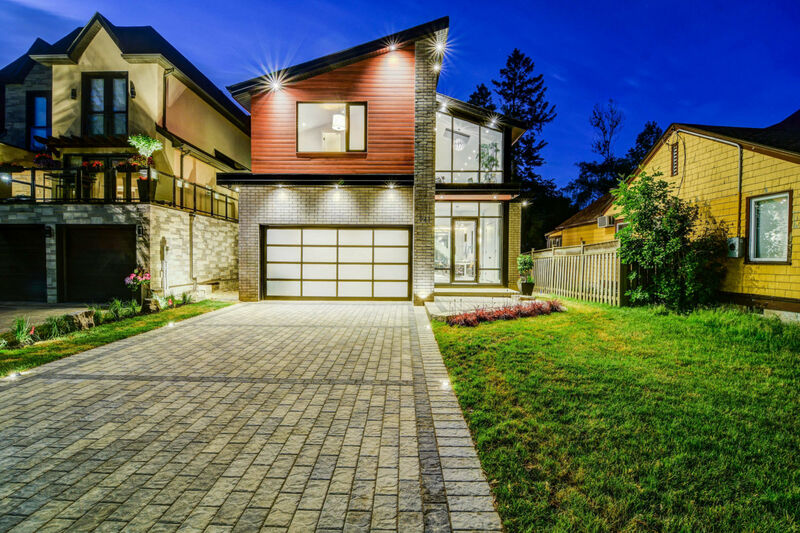 This custom built modern masterpiece features top of the line finishes with contemporary styling mixed with traditional highlights. This home is a one of a kind showstopper and a mastetpiece for the most discerning of buyers. Situated on an oversized 40x160 lot, this home is just steps to the lake, waterfront trails, trendy shops, some of mississaugas best restaurants and transit. Outfitted with breathtaking vaulted ceilings, top of the line appliances, smart home technology, heated floors and skylights this home has it all. Full list of features below. Don't miss out on this opportunity to live in a home that is truly an entertainers delight and located in one of Misssissaugas most desirable areas. -Vaulted ceilings on 2nd floor up to 12"
-Breathtaking vaulted ceilings in the living room as high as 20"
Want to learn more about 941 Goodwin Rd (Lakeshore / Aviation)? I would like to learn more about 941 Goodwin Rd (Lakeshore / Aviation).